The San Jamar MP16 ModPan™ sixth-size food pan is made of polypropylene to prevent stains and odors; this material is also safe in dishwashers and microwaves. 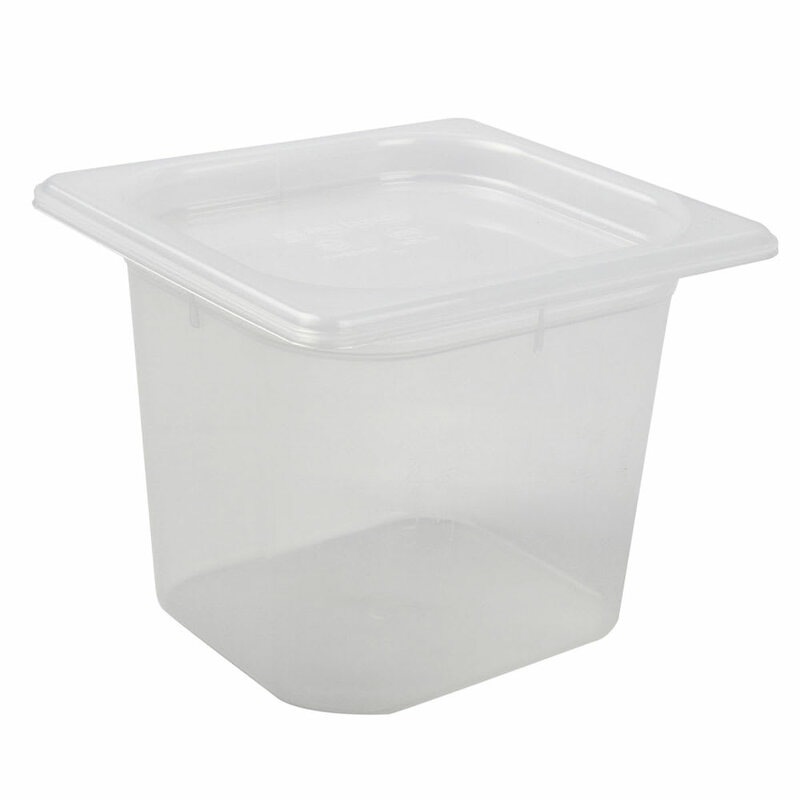 With its transparent construction, the pan provides product visibility to make inventory simple. Graduated measurement marks are etched on both sides to provide accurate, precise measurements. The San Jamar MP16 ModPan sixth-size food pan comes with a lid that attaches securely with its friction-fit design. Since there is a quick release tab, it is easy to remove the lid.